Shed a tear for Ezra Lügenpants. The besieged Rebel Commander finds himself surrounded by nincompoops, contaminating his free speech airways with—heaven forfend—apologies! First there was Jack Posobiec, Ezra’s prize catch as Rebel Media’s Washington “bureau chief,” peddling a bizarre tale about how Emmanuel Macron’s wife, Brigitte, seduced the French president so the “elites” could mind control him with ecstasy and crystal meth. 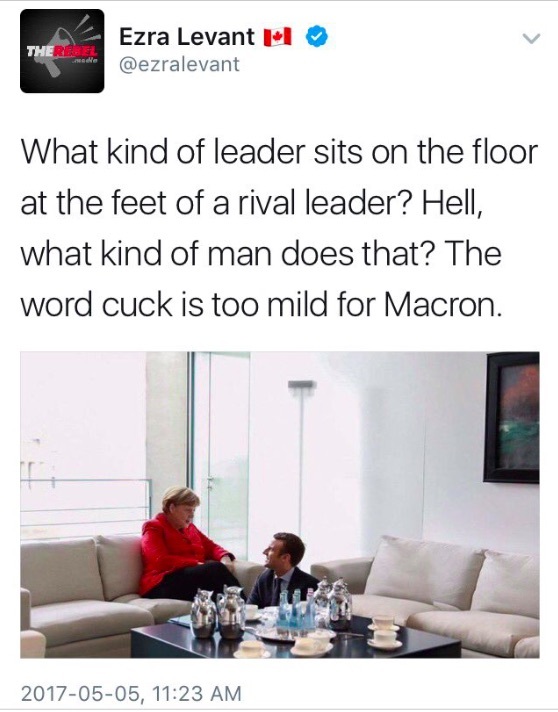 Ezra himself had already been suckered by an obvious Photoshop of Macron sitting at Angela Merkel’s feet, when up popped Posobiec to claim that Eric Duhaime, the Quebec right wing radio host, had been instrumental in helping to translate the bogus emails, documents and photos from Macron’s election campaign. When Duhaime threatened legal action, Posobiec was obliged to publicly state that his claim was “false,” and Ezra disavowed Posobiec’s remarks as trolling. Then Posobiec glommed onto the widely discredited Seth Rich story, which even Ezra had rubbished. Before Posobiec could drag Rebel into further legal trouble, Levant sacked him. 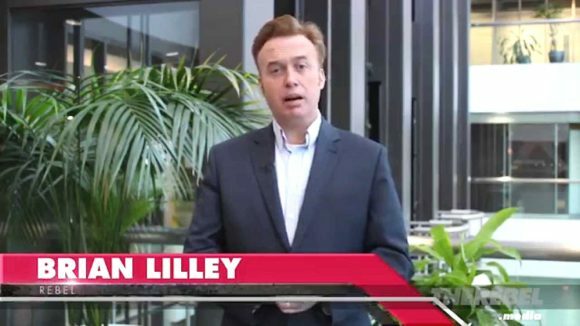 Enter Brian Lilley, smart-haired Rebel co-founder and tireless pro-life bore, to cough up an apology to NDP leadership hopeful Niki Ashton after she announced her pregnancy this week. Of course, this wasn’t the biggest cow flop Lilley has managed to step in. Brian finally caught the attention of his Quebecor masters when he crapped on CBC for going “all native” with those “ridiculous,” (but accurate) pronunciations of names of Quebec athletes like Hamelin, Bilodeau and Dufour-Lapointe. 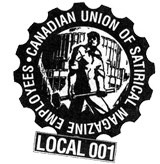 The ensuing Twitter shitstorm and pressure from his Bell Media masters prompted Lilley to go on his CFRA Radio talk show and issue yet another grovel. Keep at ‘em, Brian. You’re getting the hang of it. More on Kris Sims please. Any photos from her days working for the Sun?